Is it me, or does Portugal seem to have a lot of super creative crafsters? 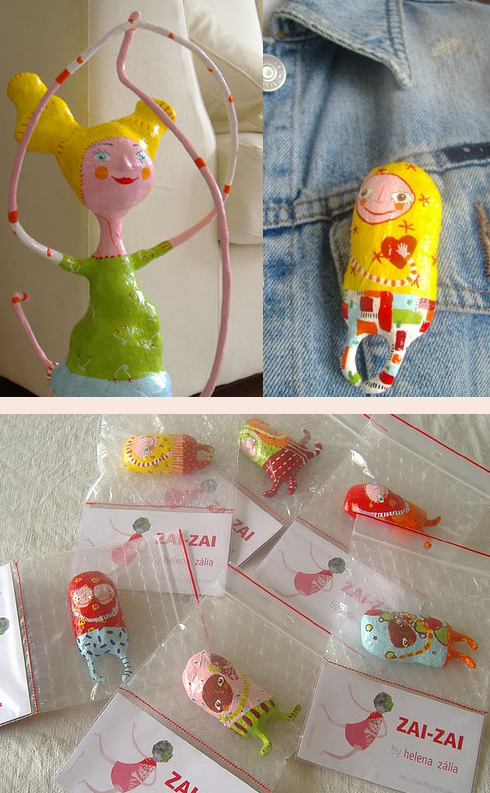 I recently discovered dolls, patchwork illustrations, and decorative pins from Zai Zai, who is Helena Zalia from Guimaraes, Portugal. If you're interested in purchasing anything, I'm sure you can contact her via her blog. It doesn't appear as though she has a store, but then again, I can't understand Portuguese so sad to say, you're on your own with this one. I thought that her blog and flickr photos were worth a mention, especially since they're so unique and colorful. 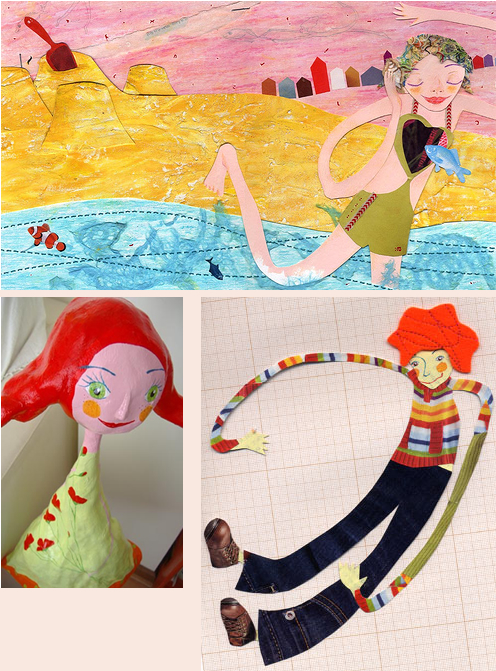 Her work screams joy! fun! passion! -- agree?